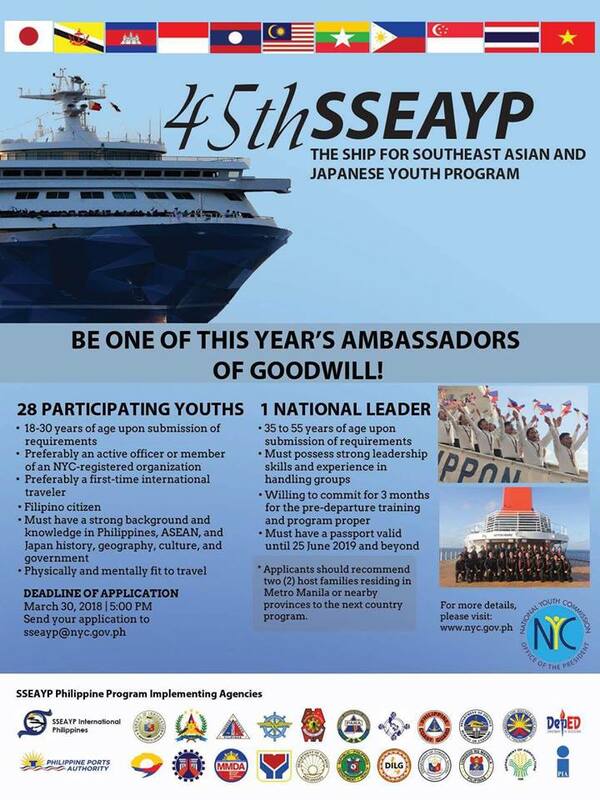 The National Youth Commission announces the opening of applications to the 45th Ship for Southeast Asian and Japanese Youth Program (SSEAYP). 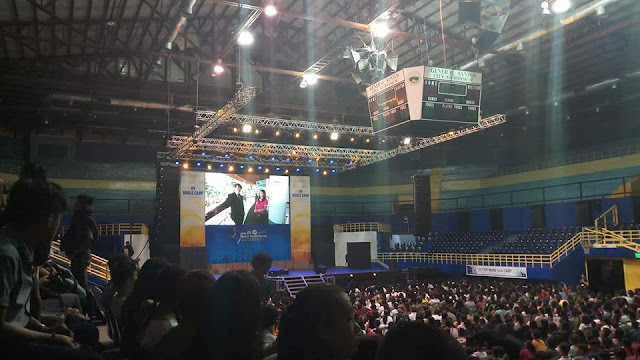 Now on its 45th year, the SSEAYP is an annual cultural exchange program among the youth in the ASEAN and Japan that seeks to promote goodwill, friendship, and mutual understanding. The SSEAYP started in 1974 by virtue of a Memorandum of Agreement between Japan and the first five ASEAN Member States (Indonesia, Malaysia, Philippines, Singapore and Thailand). Over the years, as Brunei Darussalam, Cambodia, Lao PDR, Myanmar and Vietnam were accepted as members of the ASEAN, the participants now represent the ten (10) ASEAN Member States and Japan. Each country selects 28 participating youth (18-30 years of age ) and one national leader (35-55 years of age) who converge in Japan for the initial activities and then board a Japanese luxury liner, MS Nippon Maru to embark on a 52-day goodwill cruise to the appointed ASEAN countries for port of call activities. In the Philippines, the NYC, in cooperation with other partner agencies select the youth participants representing the 17 regions and the national leader. It is also the NYC that leads the implementation of the Philippine Country Program in cooperation with other government and non-government entities including the alumni through the SSEAYP International Philippines. Interested applicants may send their completely filled out application forms (Application Form for NATIONAL LEADER, Application Form for PARTICIPATING YOUTH) and other requirements to sseayp@nyc.gov.ph not later than 5:00 p.m., Friday, March 30, 2018.